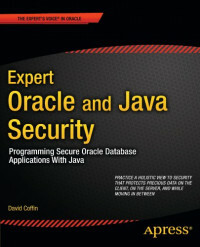 Expert Oracle and Java Security: Programming Secure Oracle Database Applications with Java is for every Java developer who uses an Oracle database. It is also for every Oracle database administrator or PL/SQL programmer who supports Java client and web applications. Whatever role you play in developing and supporting Java and Oracle applications, you need to address computer, application, data, and identity security. This book offers the tools you'll need to effectively manage security across all aspects of the applications you support. This Sixth Edition takes you clearly and effectively through the entire process of database development and implementation. This market leading text includes new Visio and UML tutorials, as well as a new chapter on Advanced SQL. All appendices are housed on a CD that accompany every copy of the text.